♦ Starting off at number 10 on our countdown is Interruptus Angelfish. You can expect to pay about $1,900.00 for this Orange and Blue beauty. The good news is that these beautiful angelfish have been successfully captive bred so it stands to reason that the price on these rare aquarium fish may come down in price over time. 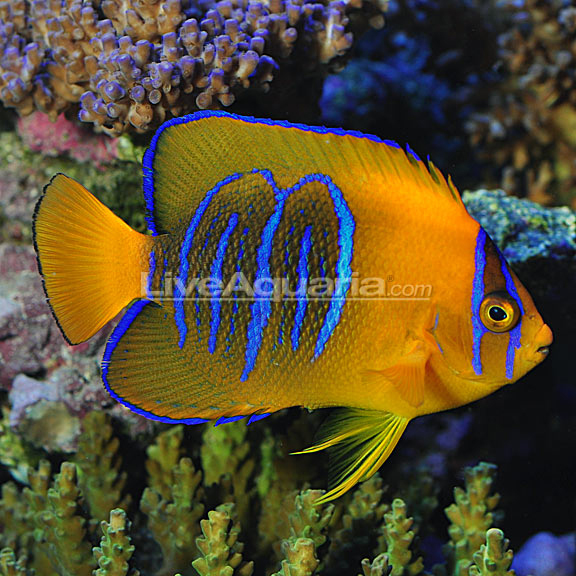 ♦ At number 9 we have the Angelfish (Holacanthus clarionensis). Lay down about $2,500.00 and you can take one home with you. 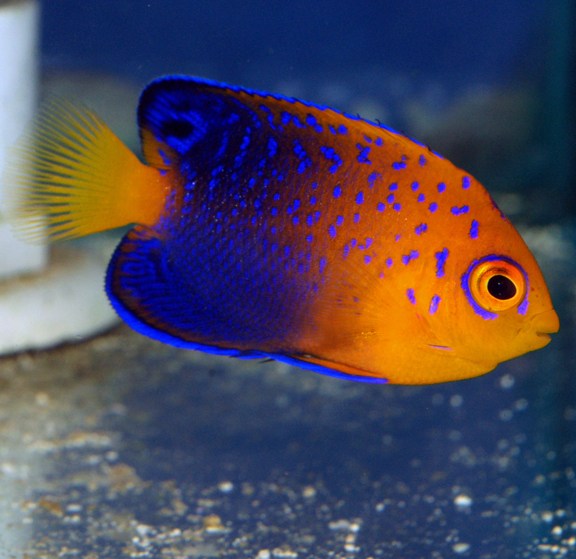 Like the interruptus angelfish, these fish have also been captive bred by elite aquarists. 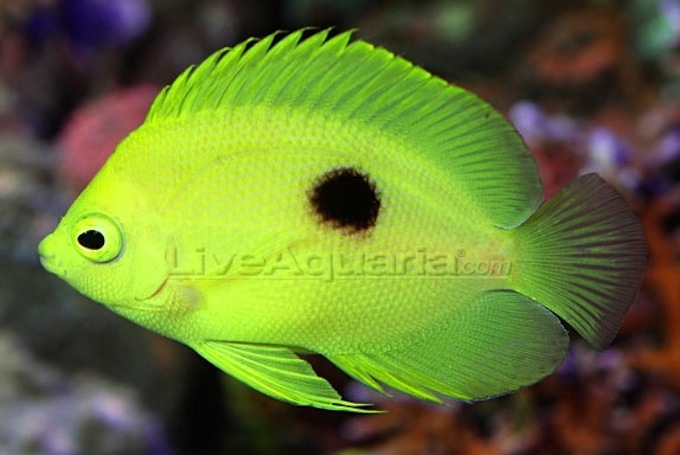 ♦ Number 8 on the list is the Gem Tang (Zebrasoma gemmatum). Usually priced in the range of $2,700.00. 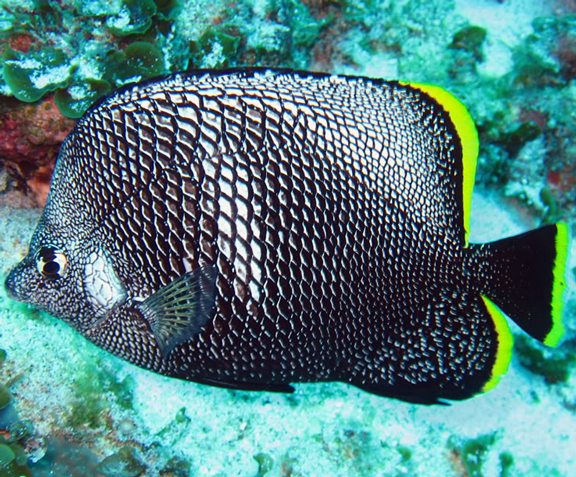 The Gem Tang, also known as the Spotted Tang is found near reefs at depths between 30 and 200 feet. The Gem Tang hails from the Western Indian Ocean near South Africa, Mozambique and a few other locations but they are collected from Mauritius. Most authorities consider this guy to be just as hardy as the other Zebrasoma tangs, adapting easily to aquarium life. Although we normally recommend keeping these fellows in aquariums containing 120 gallons and up, we are informed by Brian Miller from Charlotte Aquariums that they will thrive in smaller aquariums as well. Brian’s son has a Gem Tang in his “starter aquarium”. Since the Gem Tang can be very aggressive towards other tangs, we don’t recommend keeping them together unless your aquarium is of a considerable size. ♦ At number 7 we have the Wrought Iron Butterfly (Chaetodon daedalma). Comparably priced with the Gem Tang at $2,700.00. ♦ Nearing the halfway mark on our list at number 6 is the Australian Flathead Perch (Rainforida opecularis). A bargain at just $5,000.00 (USD)! You won’t find many fish rarer in our hobby than the Australian Flathead Perch, and it’s priced accordingly. 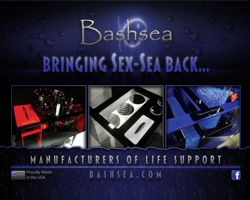 From our research, Diver’s Den (LiveAquaria.com) had the first and only Rainfordia opercularis offered for sale in the United States. There hasn’t been much chatter about this rare fish since 2011 so it’s hard to know if it has been available for sale since it’s original offer at $5,000.00. 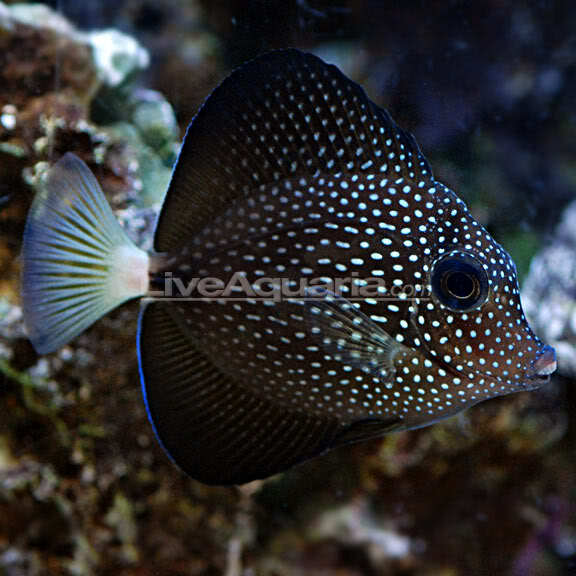 Narcosis Angelfish is extremely rare in the trade and only a few of these have been available in the US since Live Aquaria, House of Fins, and a few others offered them for sale back in 2012. 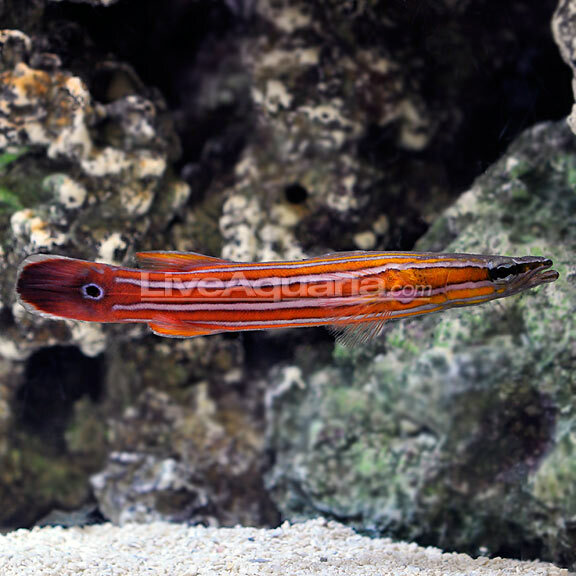 ♦ Number 4 on our list is the Dr. Seuss Soapfish (Belonoperca pylei). $6,000.00 is the asking price for this fellow (any takers?). We weren’t able to determine the origins of how this guy became the namesake of Theodor Seuss Geisel, the famous author of children’s books issued under the pen name of Dr. Seuss. 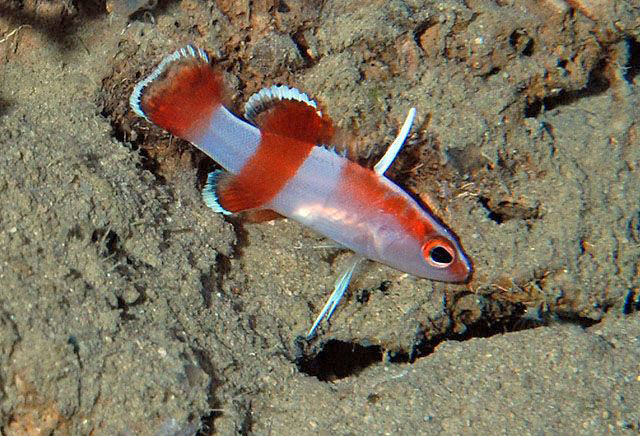 Living only in and around the Marshall Islands at extreme depths, the Dr. Seuss Soapfish is very hard to collect making this fish extremely rare in the aquarium trade. This fish requires special decompression techniques when being collected in order to be able to subsequently survive at surface pressures in aquariums. 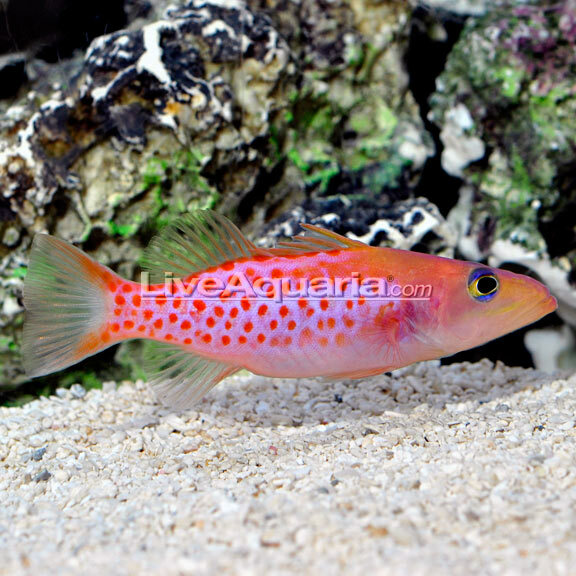 ♦ Just two spots away from our most expensive fish on this list is our number 3 pick, the Neptune Grouper Cephalopholis igarashiensis. Priced for the collector with discerning taste (and a fat wallet) at $8000.00. The Neptune Grouper looks like it is other worldly….and it almost is considering the depths one has to go to in order to find one. This fish was first offered in the US by House of Fins in Greenwich CT to celebrate its 52nd anniversary sale. 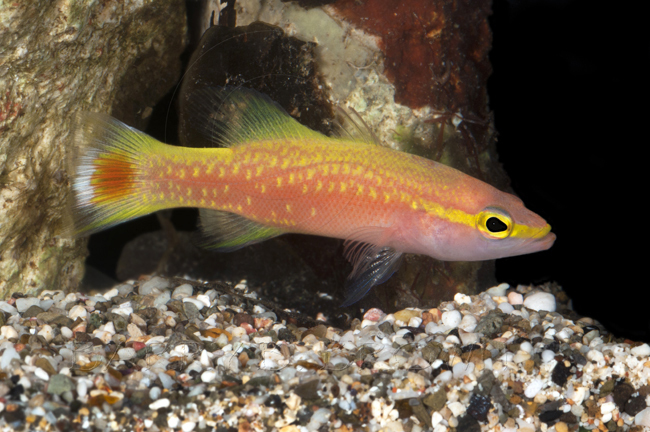 ♦ Winding down the list at number 2 is the Golden Basslet (Liopropoma aberrans). Bargain priced at just $8,000.00. You’re looking at one of the rarest, most beautiful fish ever brought up from the deeps of the ocean. To date, only 10 specimens have been collected…..making this a rare gem indeed. Also referred to as the “eyestripe bass”, the Golden Basslet is found at depths between 450 and 800 feet! Bringing them to the surface takes about a week and then they are taken into a deep-water lab and fed live mysis to acclimate them to captivity before selling them into the aquarium market. Like other basslets, they are aggressive hunters. These guys adapt well to captivity making the investment a much less risky venture. This specimen was caught off Curacao, an Island country off the northern coast of South America by Forrest Young, Director of Dynasty Marine, in Florida. Using a submersible to reach a depth of 250 meters (800ft) allowed him to make this difficult capture. Extreme deep water collection is both very expensive and risky, so the high price tag for this Bladefin Basslet is easily justified when you look at the cost of equipment required to reach a depth of 800 feet. So, there you have it. Our Top Ten list put together with care for your viewing enjoyment. OK…..For those of you applauding and asking for an encore we present the elusive and highly prized Peppermint Angel Fish (AKA the Holy Grail Fish). If $30,000.00 is too much green for one fish then you can always pickup a decorative Eshopps Peppermint Angelfish for about $12.00. Our high end aquarists out there are probably asking, “what about the________fish”. 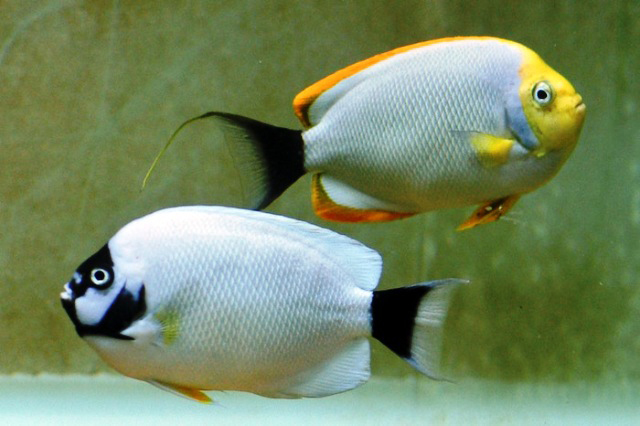 Well, we couldn’t overlook this lovely pair of Masked Angelfish (Genicanthus personatus). When available, a pair of these will set you back about $30,000.00 for an adult pair but who can argue with their beauty. Genicanthus personatus has been successfully spawned and raised by Karen Brittain back in 2014 when the announcement was made at the MACNA Conference in Denver. Perhaps we should see about checking in with her to see how things are going. You can see the captive bred fish video on a previous AquNerd post. We hope you have enjoyed our list. I’m sure there are probably some other fish that could be on this list. Why don’t you jump into the fray and add your own nominations for the list in the comment section below? Who knows, we may run a follow up or give them an Honorable Mention in another post. These look fabulous. 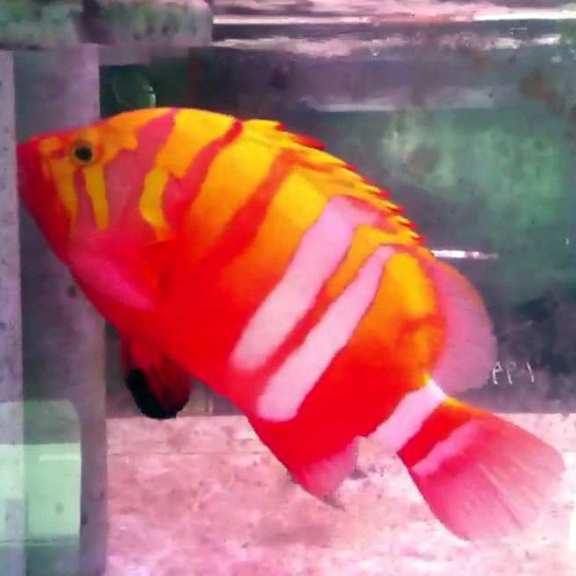 I am a fish lover and I always try to find the different type of fishes and here I find the best marine aquarium fish. The video of angel fish you have shared, this is excellent. I am really appreciate to know all of the information about the marine aquarium fishes. Thanks for the share.